After last year’s Farm Bill, everybody’s hustling to get a piece of the newly legal hemp industry. My grandmama wants to grow hemp! Hemp is different from marijuana because you can’t get THC from it. Well, you can, but only a tiny bit. You can get plenty of CBD, though! Our friends at DC gift weed delivery service Local’d are getting in on the fun with their own CBD product line, PureMed. Today we’re gonna look at PureMed’s CBD Capsules. They’re amazeballs. You can stop reading the review there and go buy some. I won’t mind. I mean, I can’t promise I won’t start pouting, but you go on, have fun with your friends. It’s fine. The base of PureMed’s remedies is a full spectrum CBD powder that’s grown and extracted in the US. 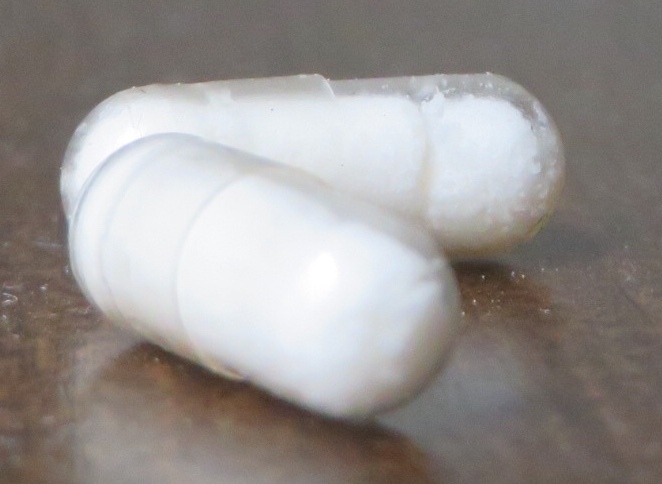 You can see the miniature-sized capsules are filled with tiny white granules. I like that the capsules are so small, it’s easier to take or conceal discretely if needed. Each one is 25mg of CBD. On three separate occasions, I’ve taken two caps, 50mg. Plus my usual dabs. Broke out the new camera for these bad boys. You like? 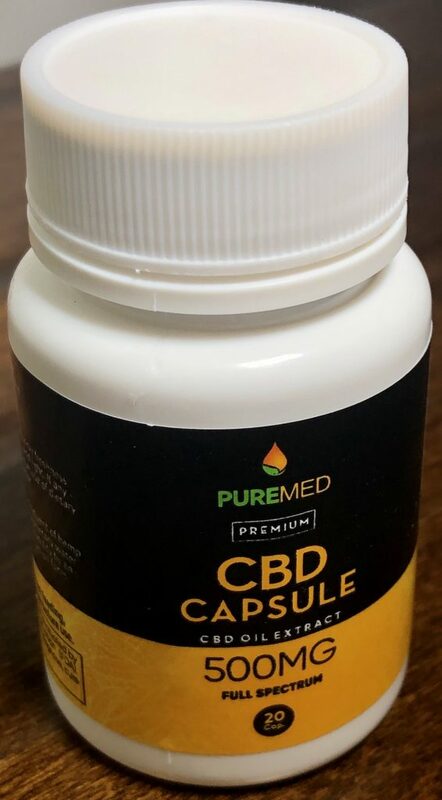 50mg of PureMed CBD capsules are seriously potent. You can feel this. And it’s awesome. My brain is quiet, practically radiating calm but I’m still wide awake and alert. They level off the high of the concentrate a bit so I’m not quite as, y’know…out there on a different frequency from everybody else. I can still feel the CBD going after 6, 8 hours, and lingering into the next day. I’m starting to think 50mg might even be too big a dose. Wow. I can hold a conversation. I had a successful business meeting cuz I can pay attention when someone else is speaking and not drift off into my own bright, fuzzy world. Does anybody else realizes if we don’t revitalize US manufacturing then all of our robots will be made in China? Does that not sound like a serious security concern to you? Oh, I’m sorry. You were saying? With the PureMed CBD capsules, I feel solid. I feel like I could kick a tiger in the balls. I don’t want to, but could if pressed. Or sell weapons to hostile foreign powers and then get elected to President of the NRA, or something. I feel in control. And we all know how much I like to be in control, don’t we, ladies? Hahaha. The Gentleman absolutely, positively adores these PureMed CBD Capsules. I can not recommend them enough. They are available for shipping anywhere in the US as well as local delivery in DC from Local’d. They also have some very nice flowers if you’ll recall! However, I’ve decided that you can’t actually have any. As the future leader of the Human Liberation Front, I’m requisitioning all of these caps for myself so I can successfully coordinate troop movements against the robots. Chin up, soldier. We all have to make sacrifices. I mean, not me personally, but in the aggregate. CBD, DC, Delivery, Edibles, LOCAL'd, Now Available, PureMed, Shipping. Bookmark.